The second International Meeting on New Strategies in Bioremediation Processes is being held in Porto on 24th and 25th October 2019 with the following mail topics: Identification and Monitoring of Pollutants, Degradation of Contaminants of Emerging Concern, Bioremediation of Priority Pollutants, New Technologies in Biotreatment, Consortium-based Strategies, Anthropogenic Impacts on the Microbial Communities, Mathematical Models for Bioremediation Processes, Waste Recovery. 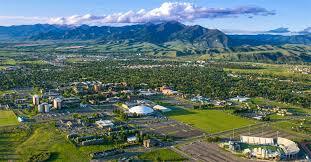 IBBS 18 Announced – Joseph Suflita, Chair of the Organising Committee, has announced that IBBS 18, the 18th International Biodeterioration & Biodegradation Symposium, will be held from September 8th – 10th, 2020 at Montana State University (MSU), Bozeman, Montana, USA. More details about IBBS 18 will be provided soon. Book the dates in your diary!